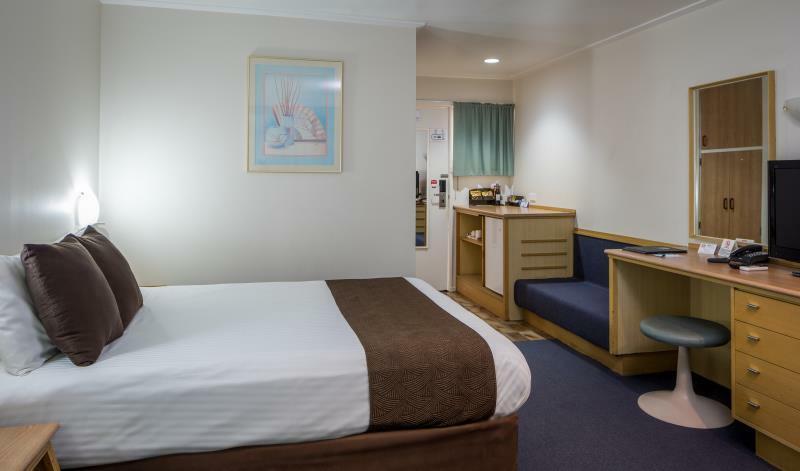 Ada pertanyaan untuk Best Western Hospitality Inn Geraldton? Ketika mengunjungi Geraldton, Anda akan merasa layaknya di rumah ketika berada di Best Western Hospitality Inn Geraldton yang menawarkan akomodasi berkualitas dengan layanan luar biasa. Dari sini, para tamu dapat menikmati akses mudah ke semua hal yang dapat ditemukan di sebuah kota yang aktif ini. Lingkungan yang terawat dengan baik serta lokasi yang berdekatan dengan HMAS Sydney II Memorial, Yamatji Cultural Trails, Geraldton Platform Markets memberikan nilai tambah untuk hotel ini. 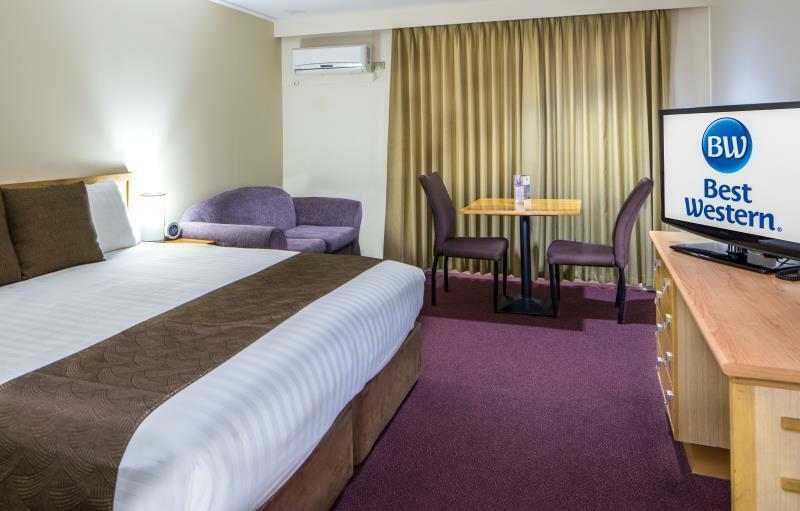 Fasilitas dan pelayanan yang ditawarkan oleh Best Western Hospitality Inn Geraldton menjaminkan pengalaman menginap yang menyenangkan bagi para tamu. Ada beberapa fasilitas hotel ini seperti WiFi gratis di semua kamar, binatu (laundromat), fasilitas untuk tamu dengan kebutuhan khusus, check-in/check-out cepat, penyimpanan barang. Nikmati fasilitas kamar berkualitas tinggi selama Anda menginap di sini. Beberapa kamar memiliki handuk, televisi layar datar, linen, akses internet WiFi (gratis), kamar bebas asap rokok, yang disediakan untuk membantu Anda mengumpulkan tenaga kembali setelah lelah beraktivitas. Hotel ini menawarkan berbagai pengalaman hiburan unik seperti kolam renang luar ruangan, spa. 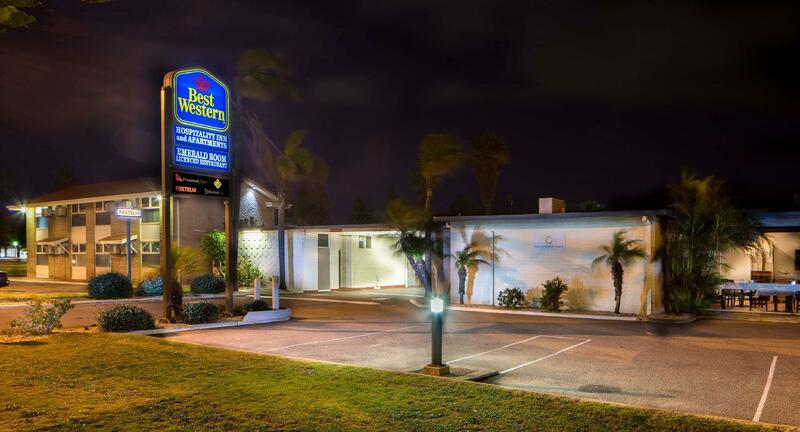 Best Western Hospitality Inn Geraldton adalah destinasi serbaguna bagi Anda sebagai akomodasi hotel yang berkualitas di Geraldton. Biaya tambahan sebesar 1.2% hingga 3.1% berlaku ketika menggunakan kartu kredit. Silahkan menghubungi pihak properti untuk informasi lebih lanjut. We had a great stay. Is situated a bit away from the city center/beachfront. We stay again for sure. Good location. Suited us. Don't get to excited about brekky being included in the price. You only get option of cereal, yogurt , fruit and pancake machine. Any hot brekky cost extra. No towels were left in our room after it was clean , just call reception had them with in 5 minutes. The staff are a credit to the Hotel .nothing was to much trouble. Over all. I would stay again . Great little place, central to most things. Clean with all the amenities you need. Included continental breakfast was adequate and the waitress was lovely. All staff we encountered were friendly and helpful. Couldn't fault it for a quick 2 night stop over. Unhelpful staff who seemed like they really didn’t want to be there and the guest was a nuisance. Place is clean, rooms are large, restaurant is ok if overpriced, walls are thin, so hope you don’t get a snorer or TV watcher in the adjoining room. my first time visit Geraldton and Thank You to Best Western Hospitality Inn on my stayed in Geraldton . I arrived early and Staff were very helpful to get my room ready for early check in . the room are clean and good location and nice breakfast too . 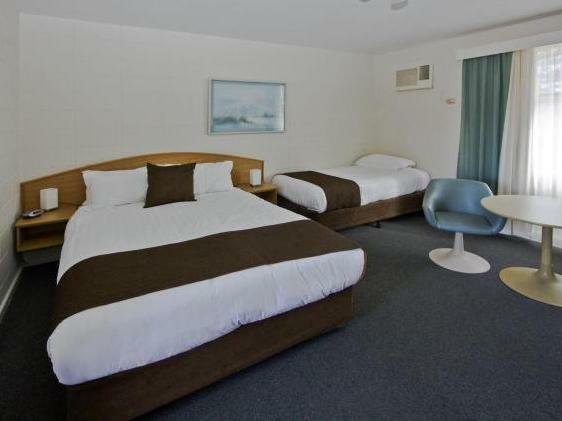 This was an excellent accomodation option for 2 friends and me for a 1-night stay in Geraldton. It is a clean and basic room with all the necessary amenities. Very convenient to have a parking space outside the room. The continental breakfast was good but basic. 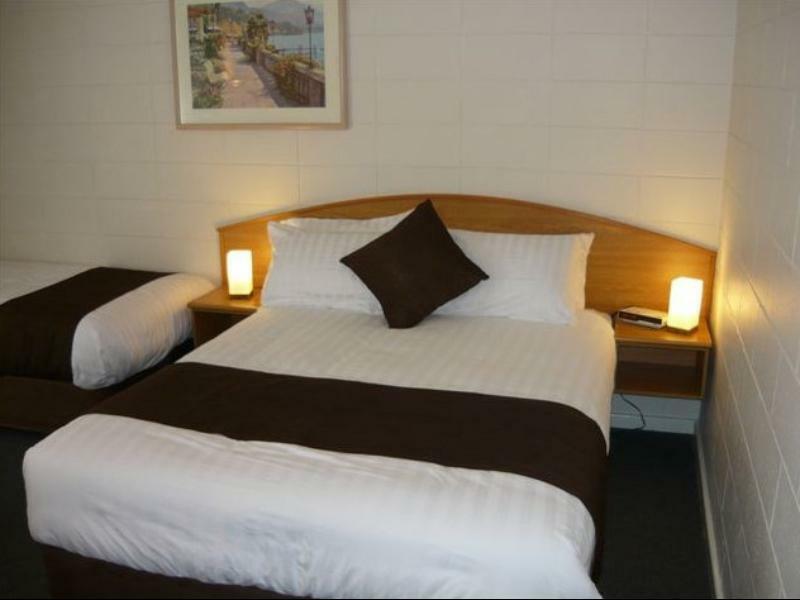 Overall great for a short stay for travellers going through Geraldton! Helpfull staf! Nice room, enjoyed breakfast. Very comfortable hotel to stay in. Also it was very clean and very conveniently located . The breakfast was fantastic . Will visit this property again on our next trip. Fantastic motel. Great location. Large, very clean room. Very quiet location. Great value. Proactive reception, good rate and free laundry facilities for guests. Reception was very welcoming and once I confirmed our Best Western membership they included breakfast at no extra charge. Gave us lots of local information and advice. A little out of town but still within walking distance on the town bars and restaurants. Good place to stop over on a trip north and the breakfast was very good. Great place for a 1-night stopover en route from Perth to Kalbarri. Location is great if you have a car, just off the main road. Very spacious. Basic continental breakfast included. Room price was breakfast included however continental breakfast choices were disappointing. For a travel stopover the location was good. The staff were friendly and helpful but the price of $180 for one room to sleep 3 was rather expensive I thought. The room was very clean but very basic and the buildings are old and ugly. The pool was drained - not sure why - no signage. Breakfast was good.